Built in 1900, the Edwards House was considered a mansion on the prestigious south Colby Avenue. The block included the Colby family home, which was located at the north end of the block at the intersection of Pacific and Colby Avenue. The Historic Property Inventory describes the house as”… a fine example of the Classic Revival Style.” At the time of its construction the Everett Water Co.’s report indicates that the dwelling had 1 bathtub, 2 water closets, 2 sinks, 1 laundry tub and a 30 gallon boiler. The original bathtub and laundry tub are still in use, in addition to a 1924 Frigidaire refrigerator. During the 1930’s the house was split into six apartments and continued as such until 2006 when its latest renovation started. Even today the house still features 5 bathrooms and 4 full kitchens. The law firm of Adams & Duncan is proud to call such a historic and beautiful building its home. Wheeler Deforest Edwards was born in New York in 1852; Emma in 1854. Wheeler earned his P.h. B from Yale University in 1872. Two years later he earned his Bachelor of Laws from Columbia University, while Emma Lefferts Knox attended Columbia, earning her P.h. B. In 1881 the couple married and moved to Snohomish County where they resided in Snohomish, In 1900, the Edwards moved into their 3128 Colby home, most likely to follow the Snohomish County Courthouse, which moved from Snohomish to Everett that year. The couple was very active in Everett. Members of the First Presbyterian Church, Emma was also a founder of Everett Hospital and for years served as a member of the hospital’s Board of Directors. 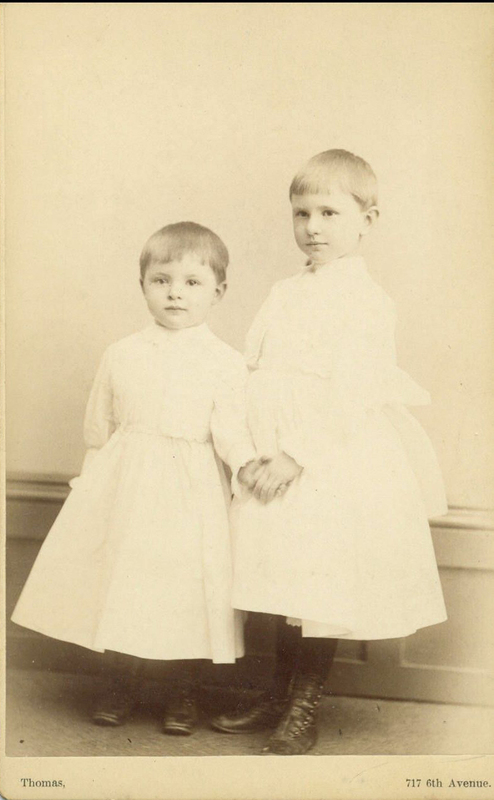 Wheeler and Emma had two daughters: Katharine Lefferts, born in 1884, and Helena Hillotje Roosevelt born in 1885. Katharine received her degree from the University of Washington in 1905 where she was an all-star basketball player. Helena, commonly known as Hillotje, married George B. Woodruff and started a family. George R. Woodruff of Vashon Island, Hillotje’s grandson, provided most of the family history and all of the family photographs to Adams & Duncan, most of which can be found hanging in the living room of the Edwards’ Home.